California State Legislature passed Assembly Bill 802 (AB 802), which includes a major piece of legislation that repeals the well-known commercial building energy disclosure law known as Assembly Bill 1103 (AB 1103). AB 802 sets in motion an improved energy use disclosure law that is set to go in effect January 2017. For 2016, there will be no energy disclosure law. What does AB 802 mean for building owners? In November of 2007, California passed Assembly Bill 1103 (AB 1103), mandating energy benchmarking and energy disclosure for non-residential buildings. AB 1103 mandated disclosure of a building’s energy data and ENERGY STAR performance rating to prospective whole building buyers, lessees, or lenders. AB 802 addresses the major implementation problems of AB 1103, most notably, making it easier to collect energy consumption data from utility companies that is required to analyze energy usage. 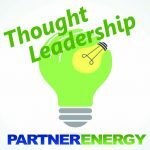 The energy data acquisition problem is most noticeable when a building owner attempts to gain authorization from tenants in order to obtain access to their utility meter data. Currently, California utilities will not provide building owners with this information unless explicitly authorized by the tenant. For a small strip center this is a challenging compliance headache, for large sprawling multi-tenant retail centers this becomes a logistical and financial impossibility. With AB 802, utilities are required to disclose aggregated building energy consumption data when requested to building owners. This will effectively revolutionize the energy disclosure process for building owners and jump start compliance across the state. Similar programs have been enacted in other municipalities with great success including Chicago and New York. Energy disclosure mandated property types will be expanded to include multifamily properties. Disclosure will be shifting from a private per transaction occurrence to an annual public disclosure. Since AB 802 doesn’t go into effect until 2017, there will be no disclosure requirement for 2016. This means that building owners are no longer mandated to disclose their energy usage for an entire year starting January 1, 2016. It’s still a wise practice to continue tracking energy performance. Benchmarking energy performance is still a best practice for building owners and managers. It continues to be used as a selling point for owners to demonstrate efficient building operating characteristics versus their peer group in the market. Lower utility consumption means lower operating costs which directly translates into higher NOI, building valuations, and asking rents. Although the Energy Use Disclosure Law will be absent for the upcoming 2016 year, many buyers and lenders have become accustomed to the transparency it brought to the transaction process. The mandate may have disappeared, but the expectation of disclosure is still very much present. Whether mandated by policy makers or encouraged by market forces, benchmarking is a critical first step in understanding how your building is performing and what can be done to maximize that performance for short and long term financial gain.